Maybe you know, Korea is a country with a developed game industry, Famous for its incredibly eye-catching graphics MMORPGs. We can look at a few names like Returners, Dark Avenger 3, or AION: Legions of War. 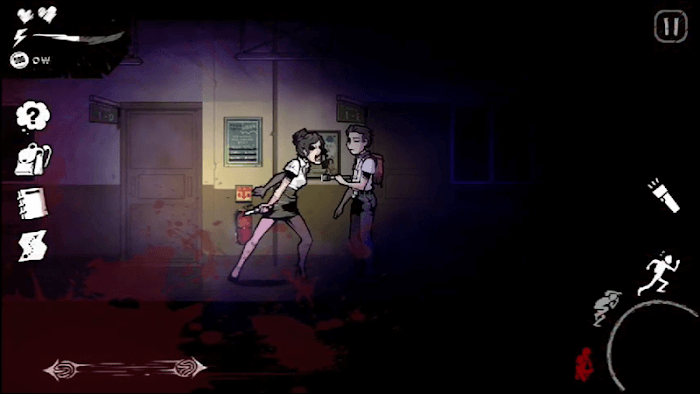 A simple graphics game, developed on a 2D platform like The Coma: Cutting Class, is quite rare. However, don’t look at the appearance but say that this game lacks competitiveness or attraction. Maybe the story of this game will make you change your mind! 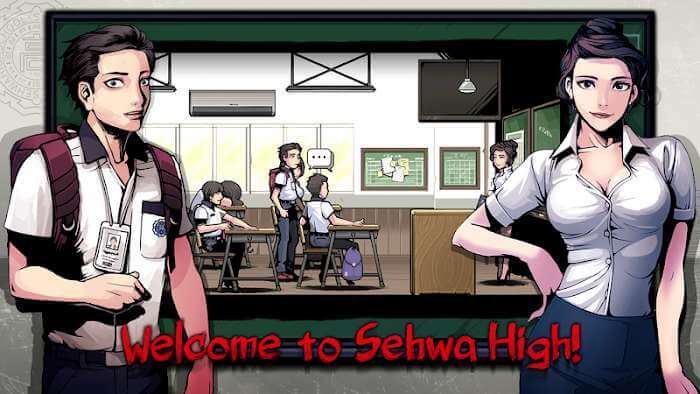 The Coma: Cutting Class is set in Sehwa High High School, at a time when students are preparing for the upcoming college entrance exam. Youngho, a student who once dreamed of passing university. The pressure of studying weighed heavily on his shoulders, he learned all night during the morning for a long time. Then one day, carrying his tired bag to school, he fell asleep in a lesson. When he wakes up, he sees everything around him like a nightmare. His school has been haunted, his friends and teachers turned into ferocious ghosts, searching for himself. Join The Coma: Cutting Class, the player plays the role of Youngho student, and the player is tasked to run away, and protect himself to return home safely. 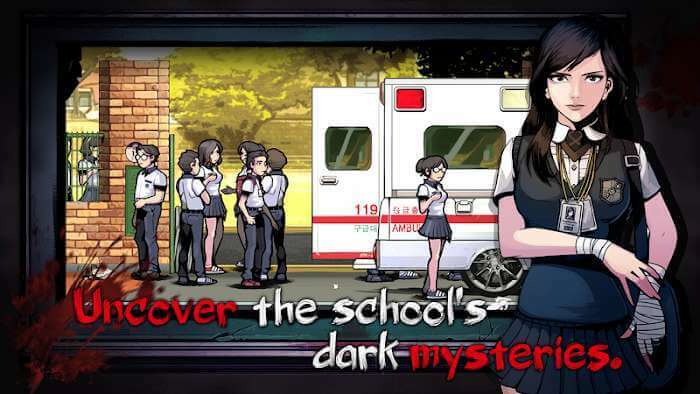 The first scene when you start this game is the suicide of your classmate, along with the tired faces of other students in the class. This context is quite profound, reflecting the heavy learning pressure of the student body in Korea. Next are the other scenes, introducing the plot before you play your game. These ferocious ghosts appear everywhere and are looking for you. By moving, running, sitting, .. at the control panel provided by the system, you need to creep, at the same time find an exit. At the same time, you are also equipped with a flashlight to illuminate in too dark passages. However, you need to use the flashlight in essential situations, because the funeral will easily detect you if you use a flashlight. Although only developed on 2D graphics platform, the feeling that The Coma: Cutting Class brings is exceptionally true, especially thanks to the sound system. The shrieks of the fallen, the footsteps of the move, the breathing of the character, along with the music rushed to give a feeling of suffocation. This sound system is combined with a dark setting, only a slight glare of light and the protagonist’s frightened face may make you feel a bit scared. 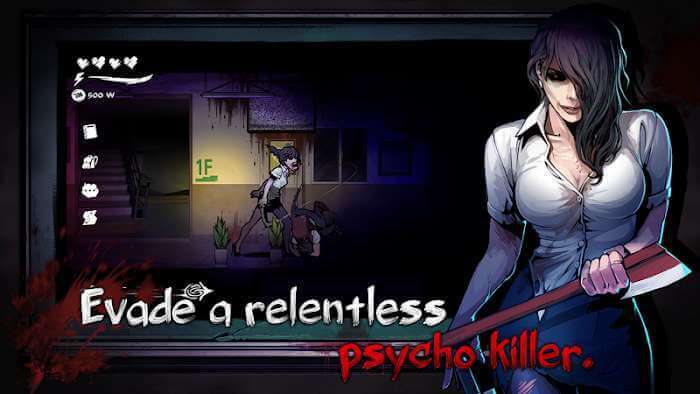 The scene of the game was built entirely in the school, with broken glass and blood spots appearing everywhere. 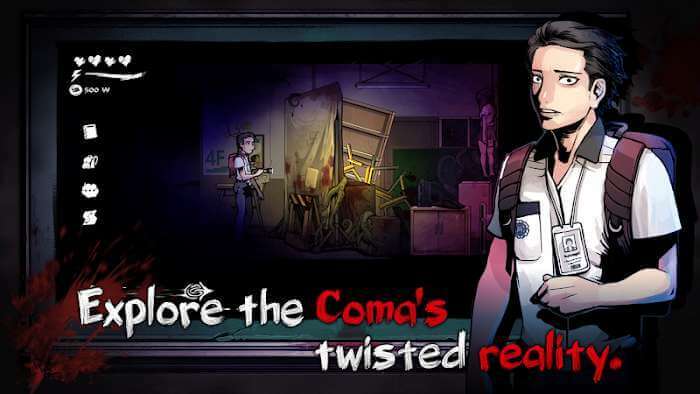 Overall, The Coma: Cutting Class is essentially a horror game, built by an incredibly engaging story and graphics platform. And through that, we can see that students in Korea often have to study too hard, and at the same time receive the message that the producers want to convey, that it is always necessary to take good care of the health of the village body, is the most valuable asset of man.